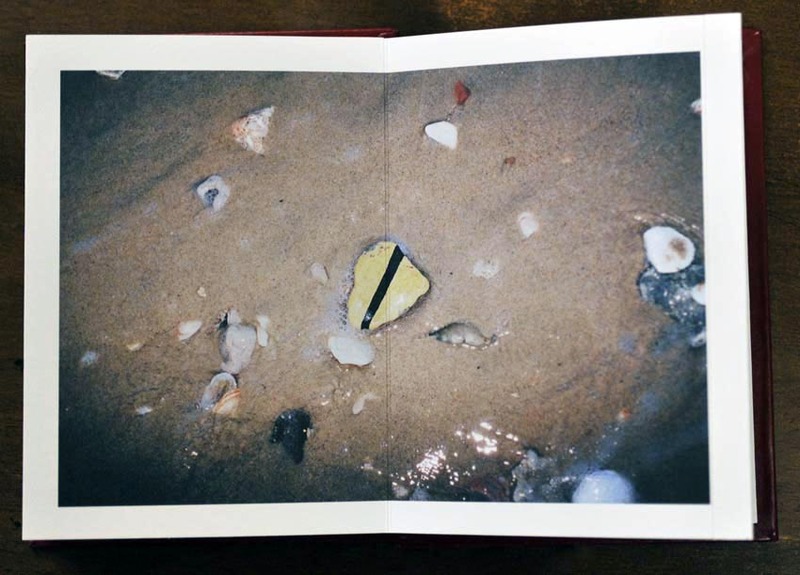 A beach by Klara Källström and Thobias Fäldt – The ghosts of the past. As far as I remember in my childhood, Jaffa meant orange juice. I remember the stickers on the fruits that we collected in a sketchbook, returning us the image of a paradise where we can pick the rich sunny fruits. 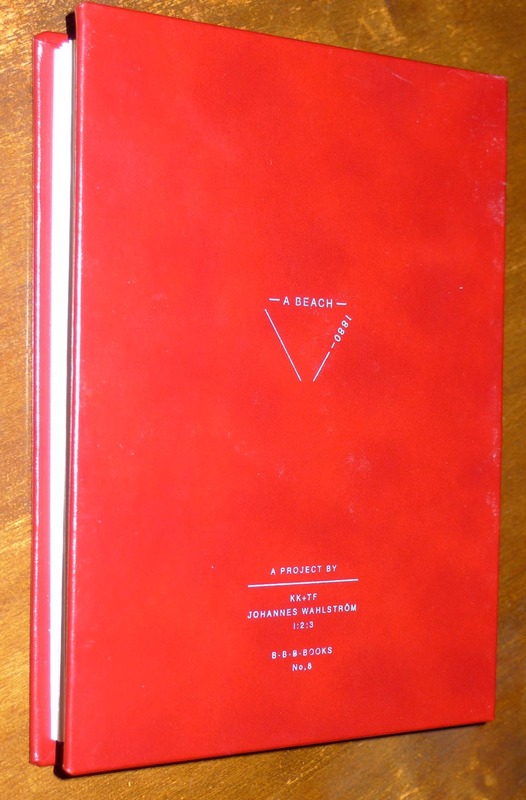 Beach is a beautiful handmade book in an edition of 300. 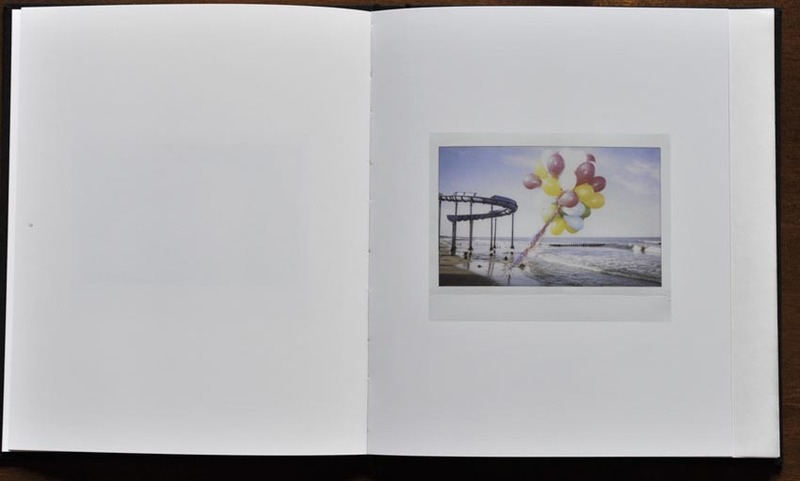 Hardcover leporello with 21 color photographs and two hidden prints on a folded tracing paper (by hidden, I mean in the structure of the book). 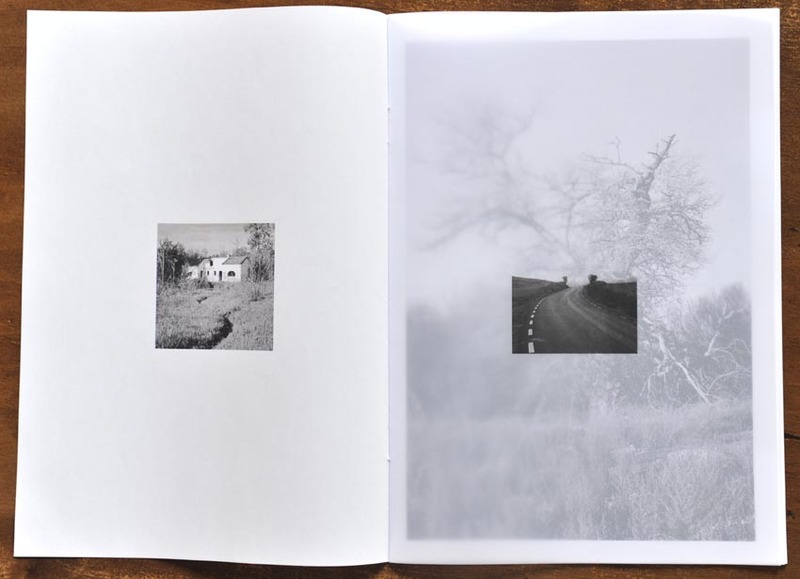 The book is about the memory of a location as a palimpsest of History. This location is Jaffa, actually known as Tel Aviv in Israel. Klara and Thobias tell us the story of an Swedish/Israelian man, who remember the place where he grew up. The beach of Jaffa was his former playground, pasing there everyday on his way to school. 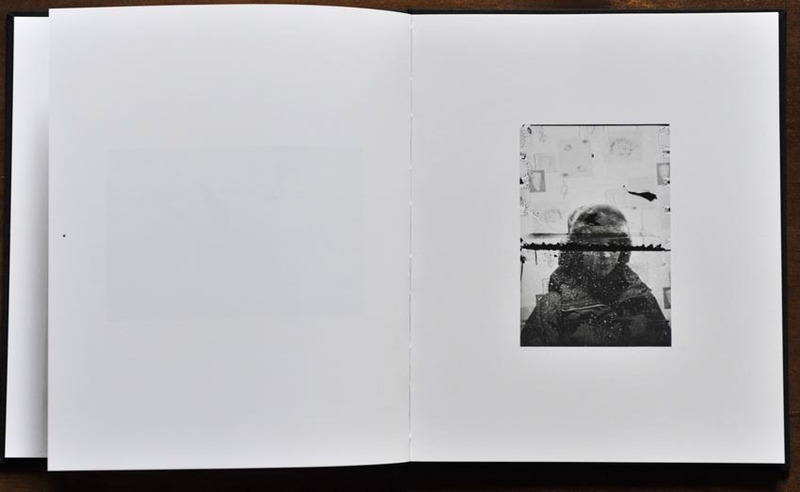 The book includes some of his memories as a text in which he explains us the innocence of his childhood, not understanding the conflictual situation with the former inhabitants of the place. 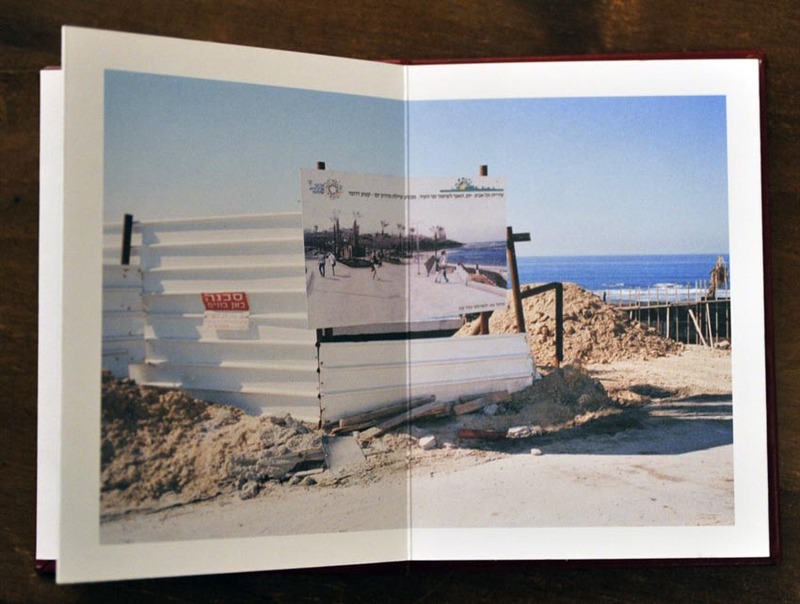 The story is set in paralell with the complete renovation of the seafront which consists in the demolition of the past buildings and the implantation of new activities like a promenade. 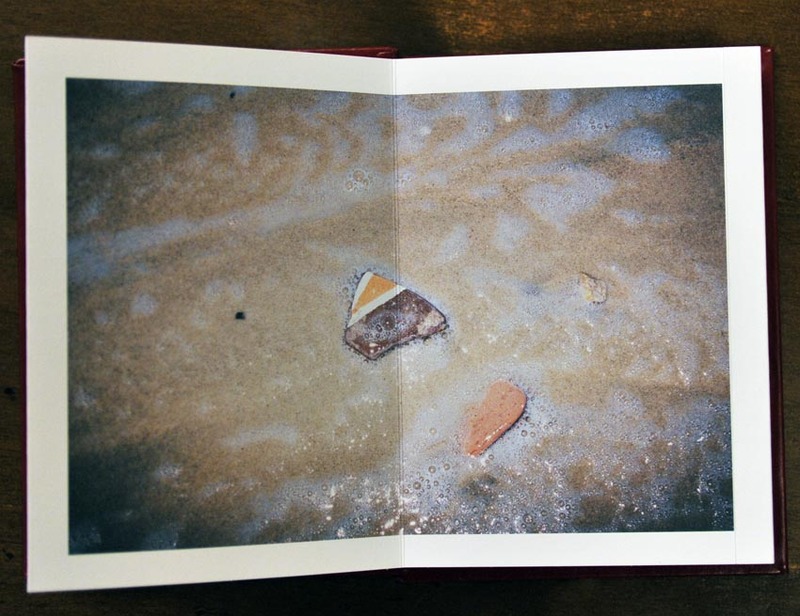 The first face of the leporello is made with photographs of the beach as it appears nowadays. We never see the entire beach, but we discover some excerpts: palm trees, people exercising on the beach or sun bathing, together with waste, or palissades hiding a work in progress, but also some new facilities. 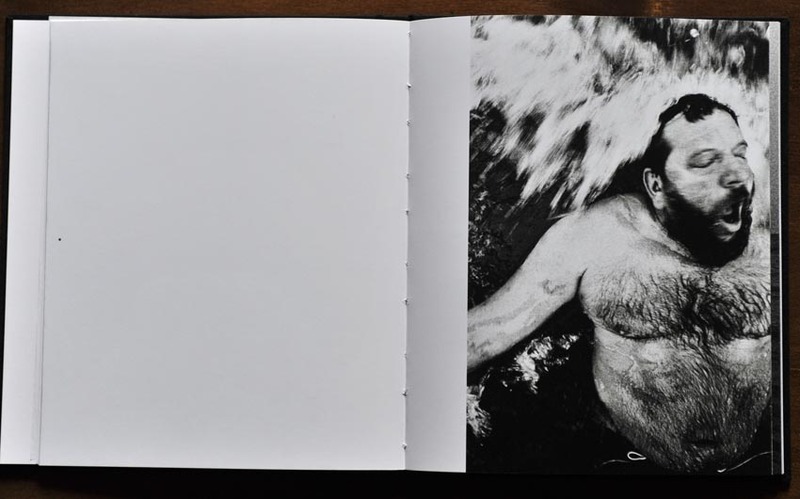 The second face of the leporello is very intriguing. When Thobias and Klara went to the beach, they were very surprised by the beautiful, like a rainbow, glitter of the stones on the beach. In fact, there was thousands of little pieces of floor tiles, spread all over the area. Those little pieces were what remained from the former buildings which have been destroyed. 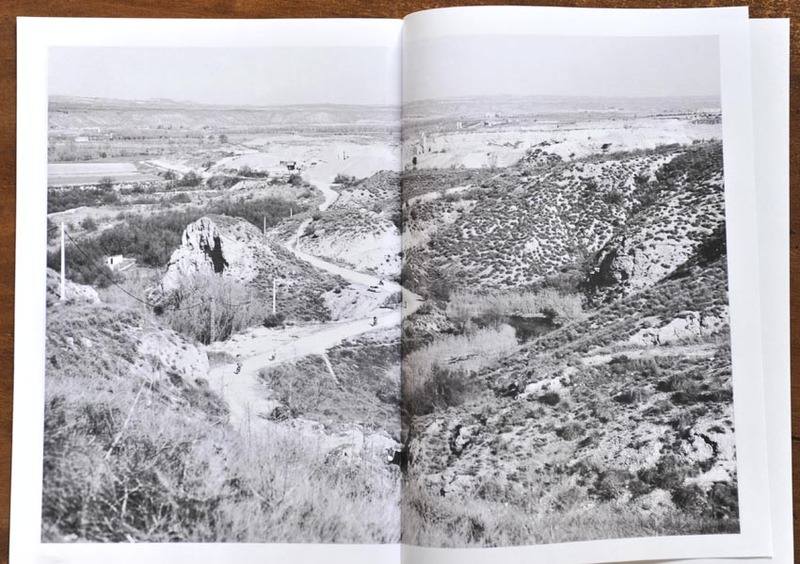 They became iconic metaphors of the past history of the location, and they carefully shot many of them on the site, each of them questioning us about who were the former inhabitants of the place and what became of them! They are collected like gems glittering like old coats of arms of disapeared tribes. And finally, what I like with this proposal, is that, if you look close enough to something, you can glimpse the past. Well, you may understand that the most important with this work is not only a statement about a critical situation. It is more a reflexion about how we live with the ghosts of the past. As with life, nothing can be created from nothing, there is no spontaneous emergence, and everything, whether it is a human being or a place, has to pay a tribute to the past, to ignore the past would jeopardize the future. 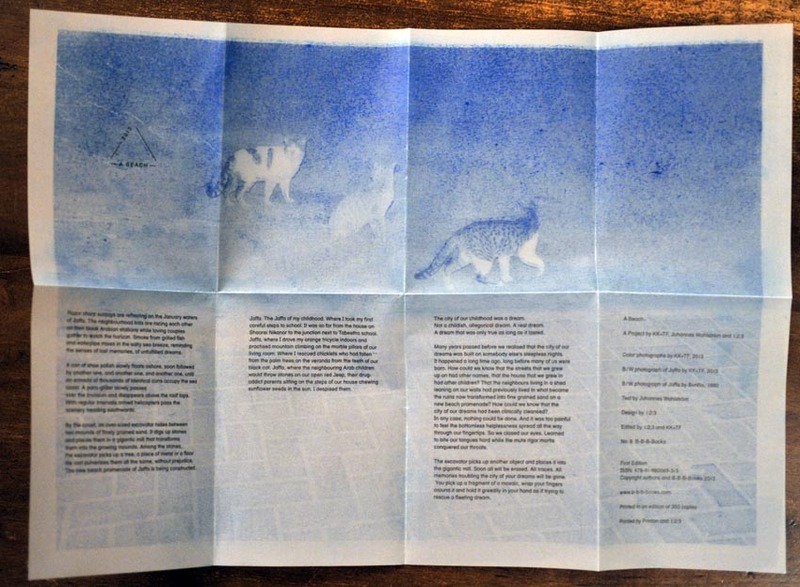 The first hidden insert contains the colophon, with words by Johannes Wahlström, remembering his childhood. 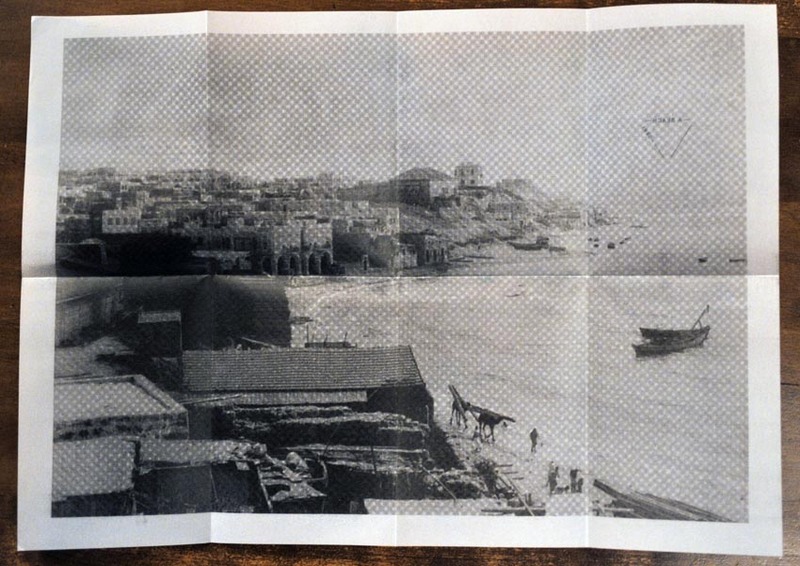 The second one, working like an ellipse, reproduces the oldest view known of the beach in Jaffa, by Felix Bonfils, in 1880. 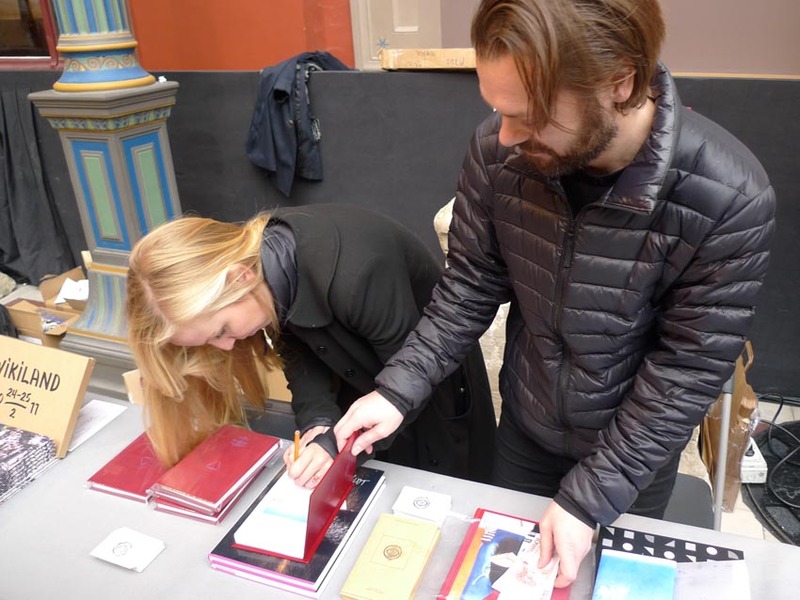 Here below, Klara and Thobias signing the book at Offprint Paris. All images copyright Klara Källström, Thobias Fäldt, Johannes Wahlström and Felix Bonfils. 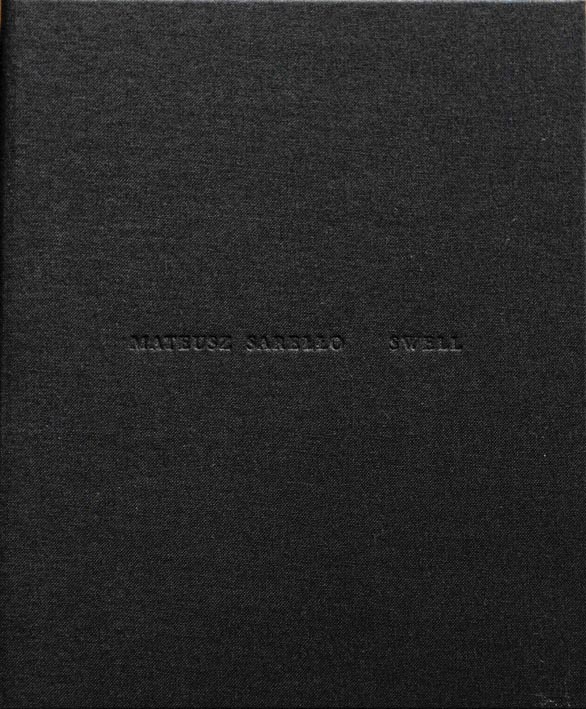 Swell, by Mateusz Sarello, the story of a failure ! It is never easy to begin a book review, I could have posted some pictures, and just have said : this book is great, but it is not the way I have choosen and I must find some arguments to support my thoughts. Well, shall I start by telling you that I was raised beside the sea, and the ocean was a kind of playground for me. This is probably why the sea has always exerted an attraction for me. But enough with my own story. Mateusz Sarello is a Polish photographer, born in Warsaw in 1978. 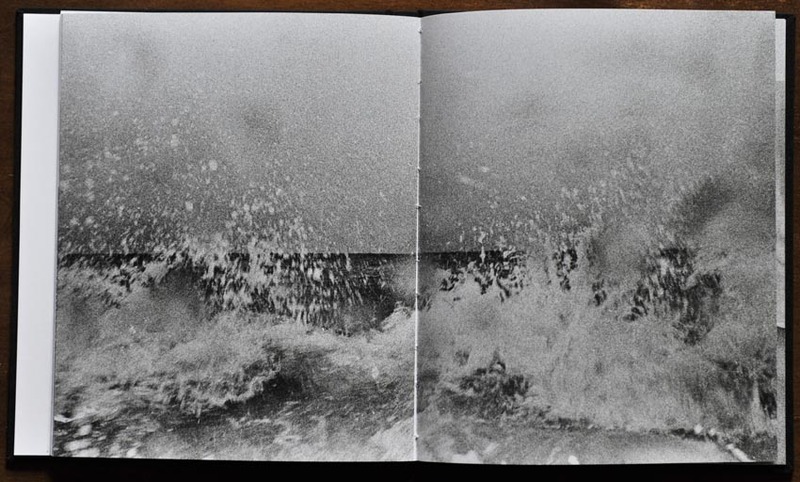 He recently published « Swell », a beautiful handmade hardcover book in an edition of 350 copies. 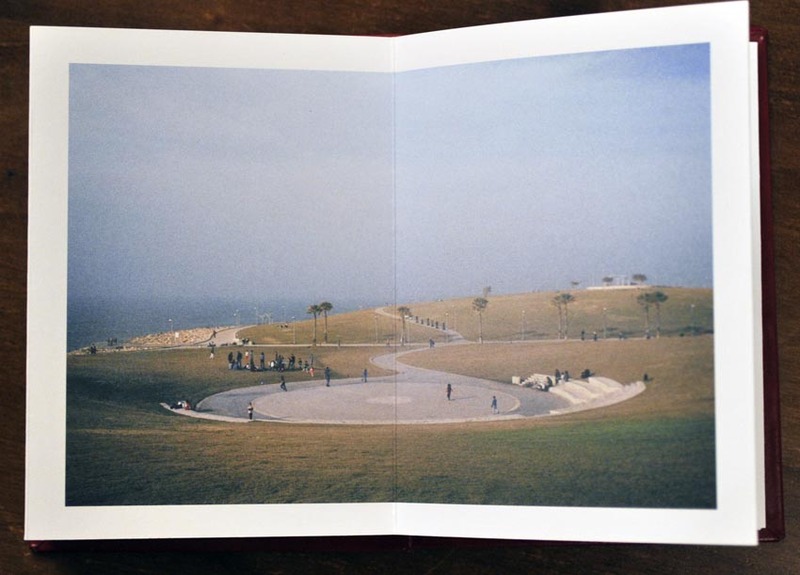 The book size is around 17 x 20 cm, 88 pages and 42 photos. Here are the facts. The reason why I like this book is that it tells us the story of a failure and, with a high sense of cleverness, it reappropriates this failure. 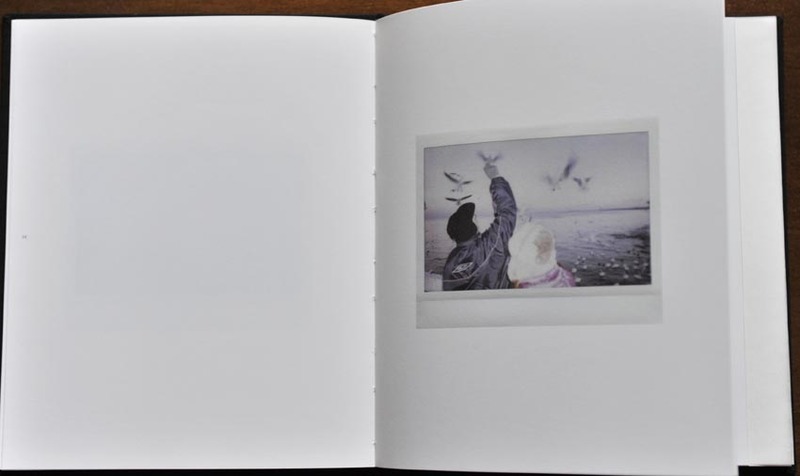 The book begins with small color pictures of the Baltic Sea made on Fuji Instant Films, the colors have a beautiful desaturation, typical of those films (they remind me some colorist photographers like Luigi Ghirri or Harry Gruyaert). 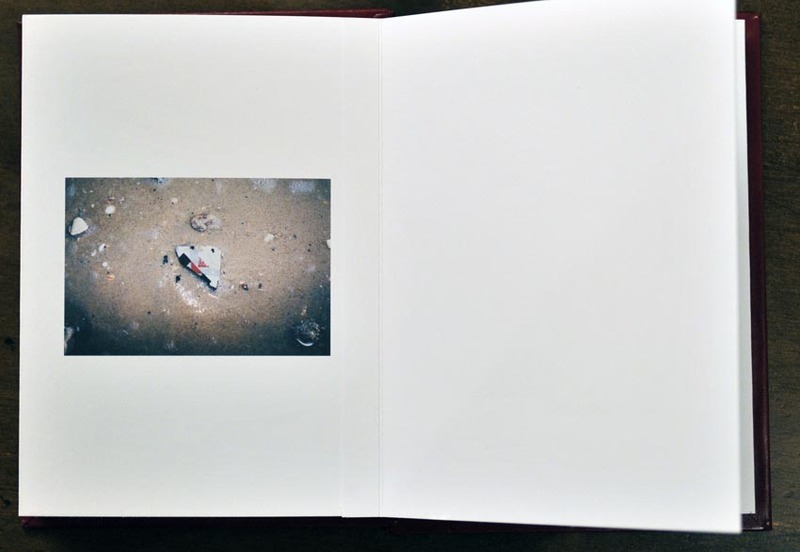 They constitutes the first part of the project : the reason why Mateusz and his girlfriend went to the sea to achieve their photo project which purpose was « to bring out the nautical poetics of the Baltic Sea, inspired by… », well, the kind of common subject related to seashores. While working at the sea, the couple break out and they separated and put an end to the project. It was hard times for Mateusz who overcame this failure by going back, again and again, to the sea, maybe to find some hidden explanations to the failure. 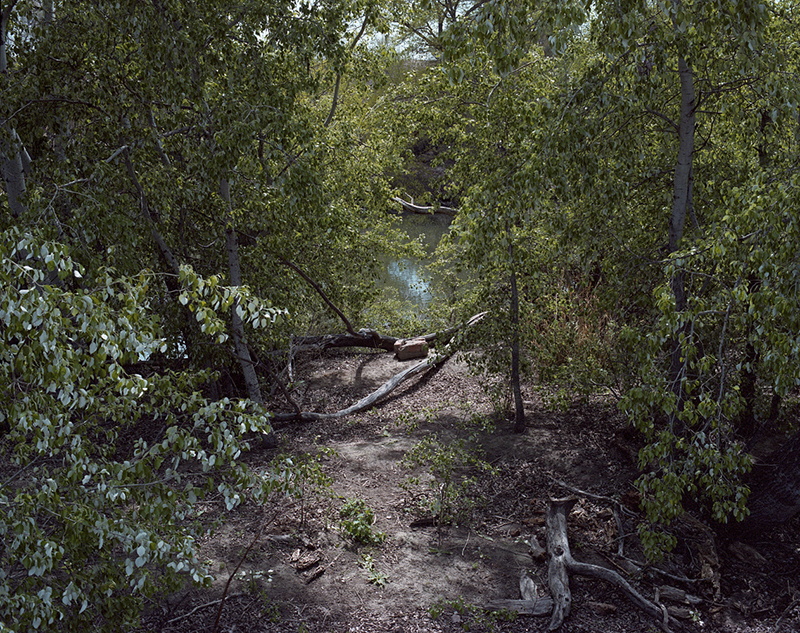 And for that he brought his camera and did a new series of photographs as a catharsis. 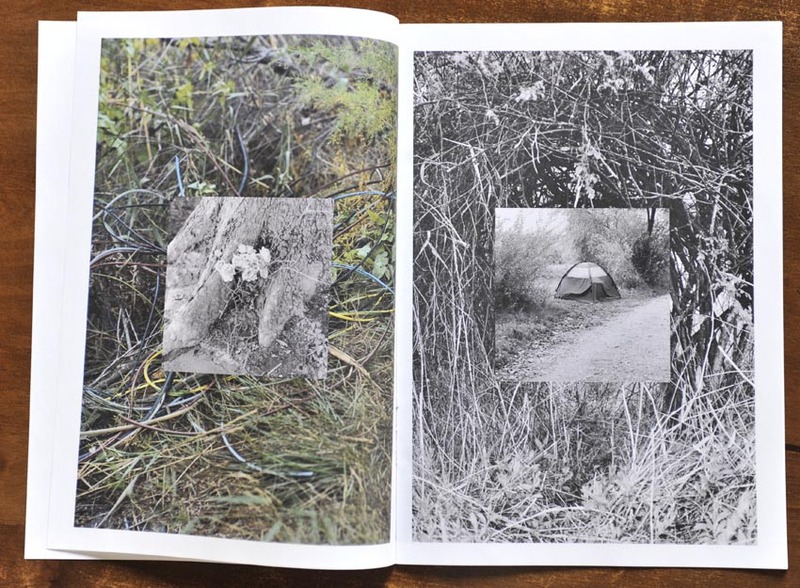 The smartness of the book is that it tells us the full story, and we enter to the very privacy of the photographer. 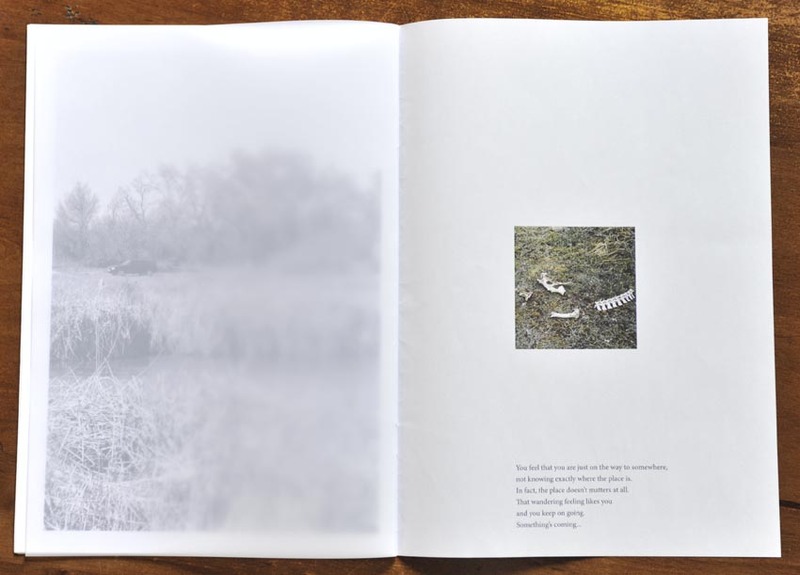 The conception of the book strengthens the spiritual perception of the story. Someone whom I showed the book, told me : « Oh, it’s broken, but I swear it was before me, it is not my fault ! ». 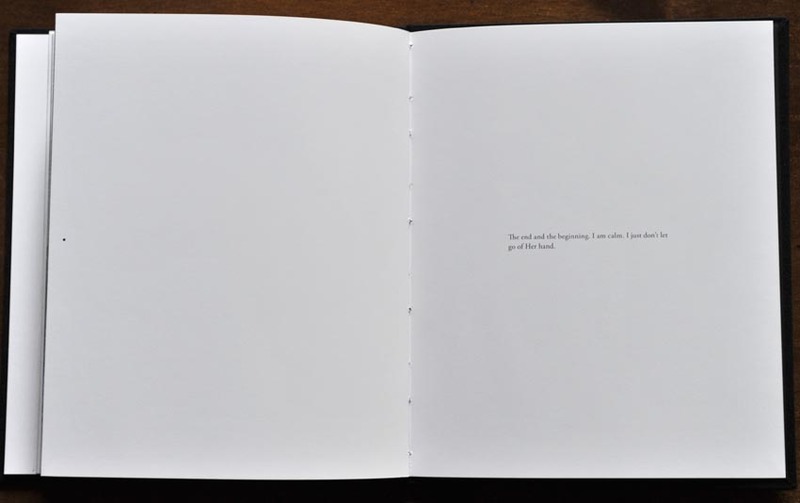 So yes, the metaphor of the failure is transposed by a break in the book. 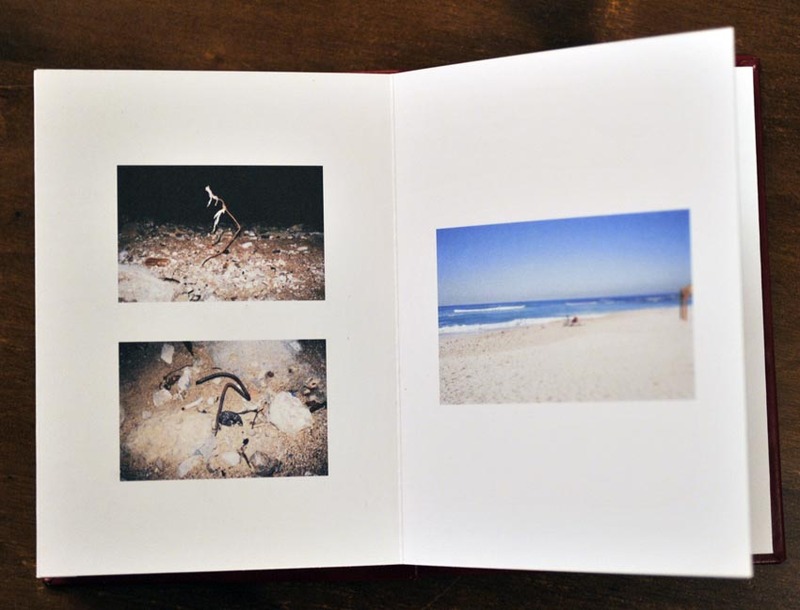 A first booklet is made by the seashore photographs, attached to the front cover, and a second booklet, attached to the back cover, constitutes the second part of the series. 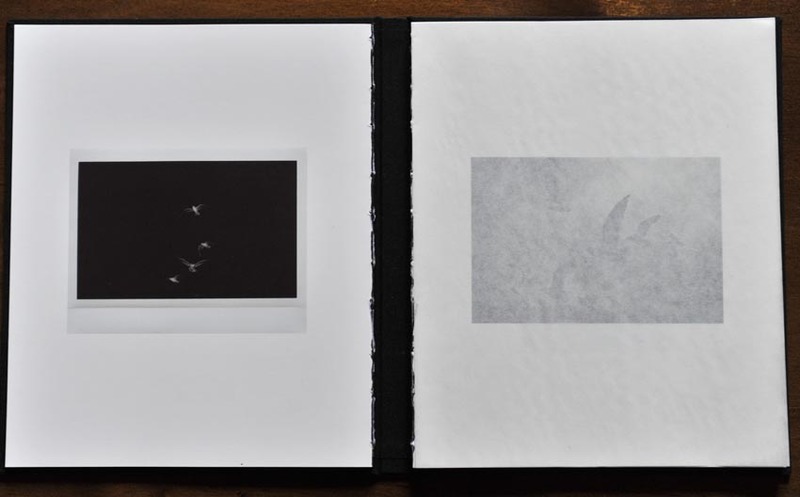 The transition is aesthetically built by the succession of a photo of birds at night on instant film to a grainy black & white view of birds flying, protected by a thin and fragile glassine paper. The second part is about loneliness and the memory of a loss ! No colors anymore, life is made of grey shades. A blurry scarified portrait as a memory, Mateusz went back to the sea with his camera and a flash. The flash has its own importance as he uses it to keep him awake, shooting instinctively portraits of people he met, to witness that he is still alive. 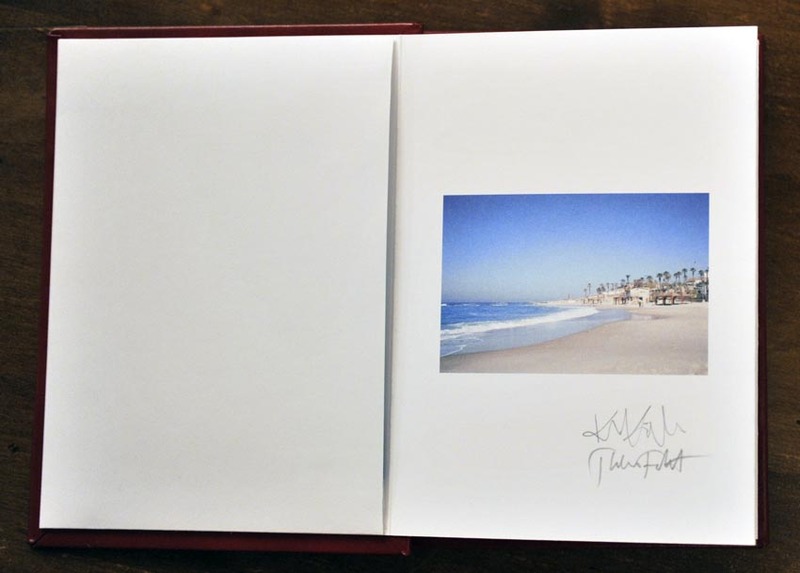 Those portraits alternate with double pages of full framed photos of the sea. 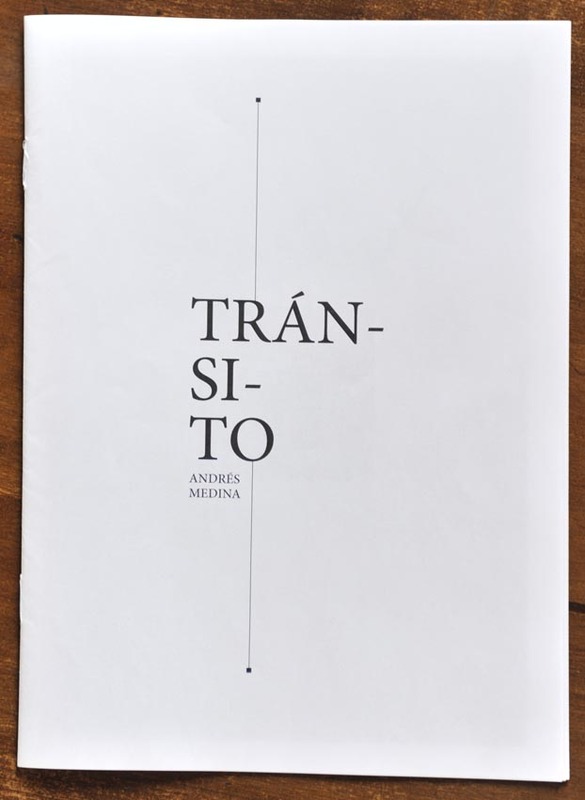 We don’t really know, everyone can interpretes what he chooses, if those photos are emphasizing the temptation of a physical loss (which could be called a suicide) by its magnetism, or just a fascination for the neverending loop of the tide which symbolises the renewal of life. 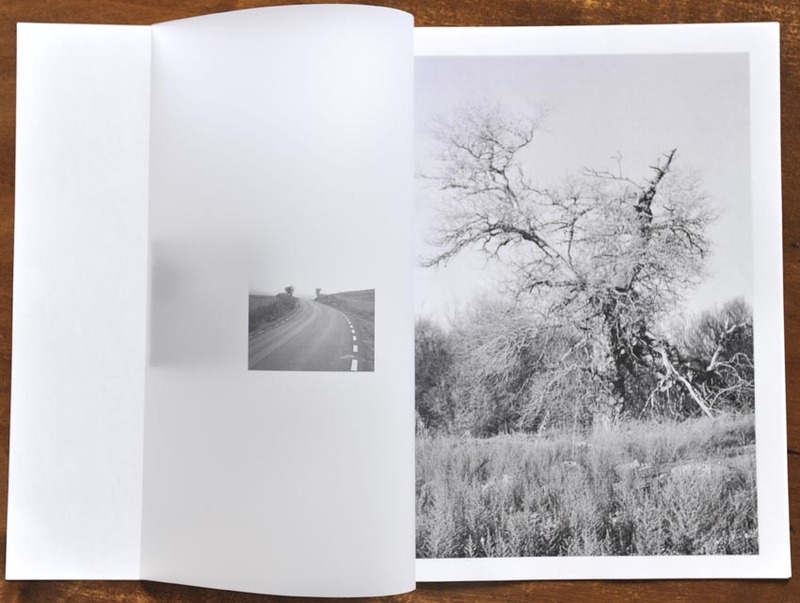 Both options are available, it is the photographer’s choice to overcome or not… And well, of course, finally, he did, turning this failure into a beautiful, touching, new story ! And, of course, why I am so overwhelmed, is because that story may not be complete foreign to me. 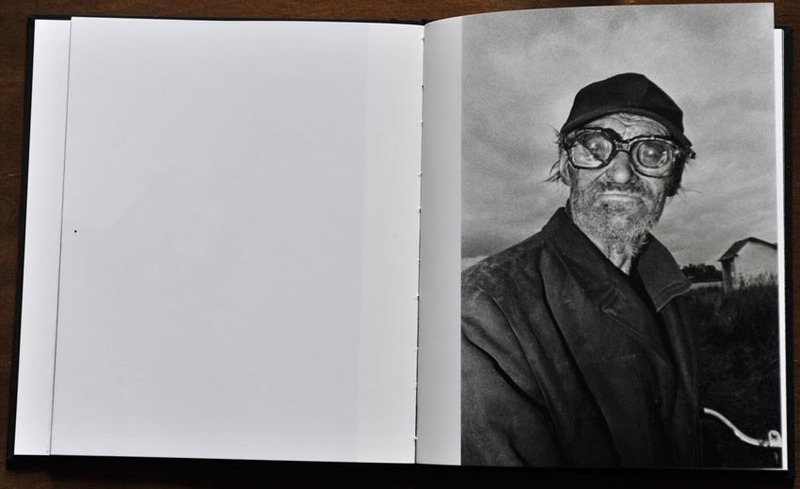 The book has already been acclaimed and won numerous prizes. 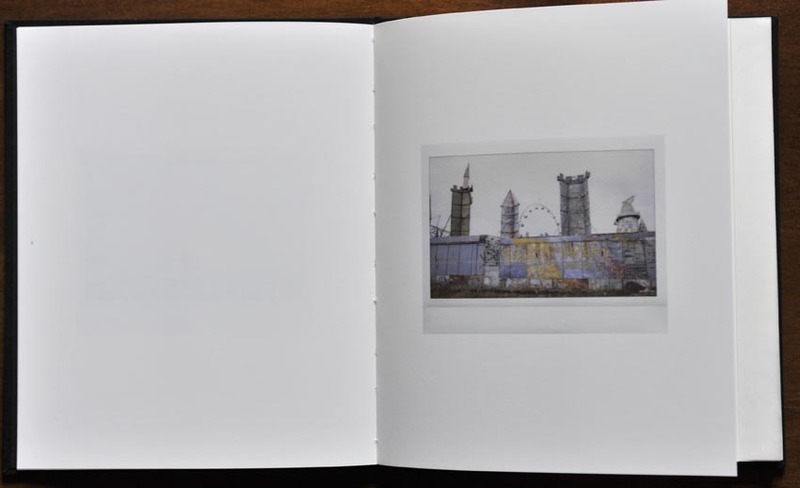 Mateusz will be signing his book in Paris on Saturday 16th at « L’ascenseur Végétal » booth during the Photobook Fest. All images copyright Mateusz Sarello.